PS4 Wheel Edition allows you to connect any Logitech G25/G27 to a PlayStation 4, and have it detect as a fully functional Logitech G29 with complete wheel features including, for the first time ever, FORCE FEEDBACK SUPPORT! It also supports clutch, brake and gas pedals, including the 6 speed gear shifter. No special scripts or plugins required and no need to have a PC connected to your console. To program Operational Modes you have to be connected to the Internet. 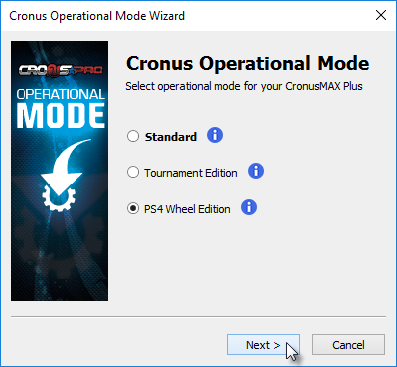 1.1 First, we are assuming that your CronusMAX is hooked up to your PC as instructed in the Quick Start Guide. 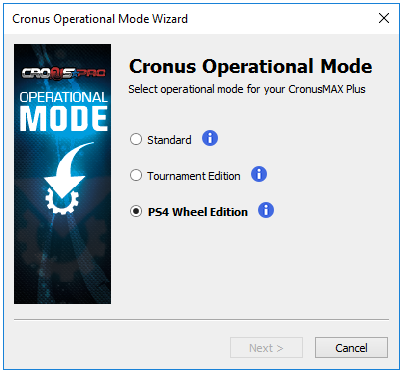 Open the Cronus Operational Wizard and select 'PS4 Wheel Edition', then click Next. 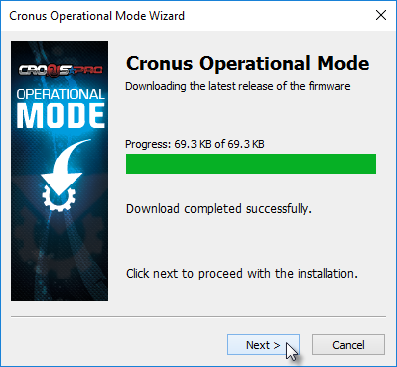 1.2 The files for your CronusMAX PLUS will be downloaded and algorithms calculated to match to your devices serial number. 1.3 DO NOT REMOVE THE DEVICE WHILE PROGRAMMING! 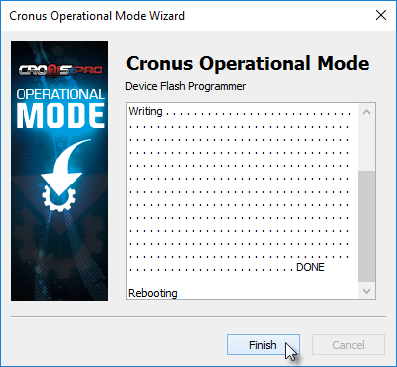 If the programming of the CronusMAX PLUS is successful, and it only takes around 5 seconds, you will see the following screen. Click Finish. 1.4 If everything is successful, the Cronus PRO Status Bar will change to reflect the new Operational Mode. 1.5 Your CronusMAX PLUS will now also show a racing track animation on the LED display. Now proceed to the USB Hub Guide to find the most compatible ones that we've tested. If you have your own USB Hub you can follow the simple instructions on how to detect the internal USB Hub Port Numbers (which are really important to know), and finally the actual guide on how to hookup your Wheel to a PS4.